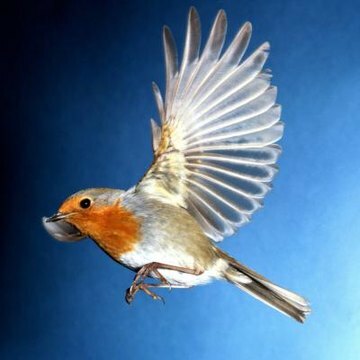 Birds compose a diverse class (Aves) of species, as dissimilar as tiny darting hummingbirds and 8-foot flightless ostriches, with about 9,000 living species known. Generally accepted to have evolved from reptilian dinosaurs, birds share several characteristics with other classes of animals, including a skeletal backbone housing a spinal cord, a four-chambered heart and warmbloodedness. Other of birds' characteristics are unique or essentially unique. Feathers are the defining characteristic of Aves, found on every living species of bird and no other class of animal. Feathers are made of keratin, the same substance that forms hair and nails in other animals and are highly modified scales. Feathers are critical not only for flight but also for warmth and protection against the elements -- and in many species, for males to attract mates. Soft, fluffy downy feathers help keep birds warm, contour feathers streamline birds’ bodies and aid in flying, and flight feathers on wings and tail give the bird loft. Birds shed, or molt, old feathers once or twice each year, depending on the species. All birds have wings, although not all birds fly. Nor are wings confined to Aves; bats are flying mammals and most insects have wings. Birds' bodies are beautifully designed for flight, with strong chest muscles and just enough curve to their wings to provide lift. Differences in wing shape provide different advantages to the various bird species. The narrow, sharp-tipped wings of the falcon provide speed; albatrosses soar high on wings much longer than they are wide. Most songbirds have elliptical, evenly shaped wings that facilitate quick, small movements in the tight spaces of their tree homes. Swimming birds, such as penguins and puffins, have flipper-shaped wings that propel them rapidly and gracefully through water. All birds have beaks, or bills, made of a bony core surrounded by a thin layer of keratin. Birds do not have true teeth, but many species have tomia -- sharp ridges along the edges of their beaks. Birds do not chew food but grind or rip it into pieces small enough to swallow. The shape of a bird's beak indicates the bird's general diet. Meat-eaters like hawks and owls have sharp, hooked beaks for ripping and tearing. Strong, cone-shaped beaks help seed eaters break through shells. Ducks and geese have broad, flat beaks for straining food out of the water. All birds lay eggs, some very colorful or covered with spots. Eggs are not unique to birds, of course, as fish, reptiles, amphibians and insects also lay eggs. A bird egg has a hard shell made mostly of calcium and a layer of hardened mucus. Inside the egg, the developing embryo receives nutrition from the yolk and the albumin, the egg white. Most birds construct nests to protect their eggs, and then care for the eggs and the hatchlings. The majority of bird species are devoted parents; in most cases, both male and female care for young. Most birds have lightweight skeletons with hollow bones. This keeps them light enough for flight. Many fused bones, including the collarbones or wishbones, make birds’ skeletons rigid in comparison to mammals'. This helps brace the birds' wings during flight. Their sternums, or breastbones, are large, providing sturdy attachment points for powerful wing muscles. Flightless penguins have heavy bones filled with marrow, helping them to survive in their freezing home range. Ostriches have heavy, solid bones in their legs, helping the birds run and defend themselves with powerful kicks. Hooper Museum: What Is a Bird? Young Naturalists: How Do Birds Fly?